How much fun were the 12 Days of Giveaways!? They were all the fun, that’s how much fun. 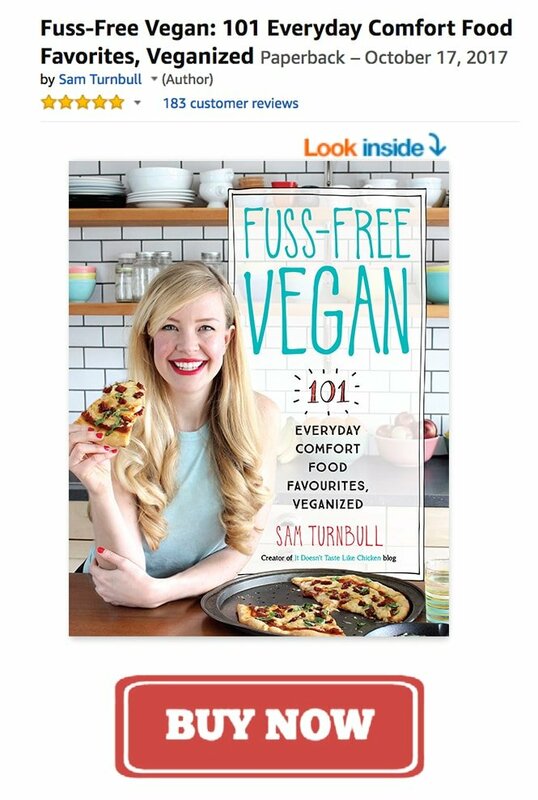 As much as I had a total blast spreading holiday cheer via giveaways, I’m excited to get back in the kitchen and start sharing more easy vegan recipes with you again. Even better, I’m excited to have an excuse to eat Vegan Gingerbread Waffles for 3 days in a row. It was for testing purposes, clearly. 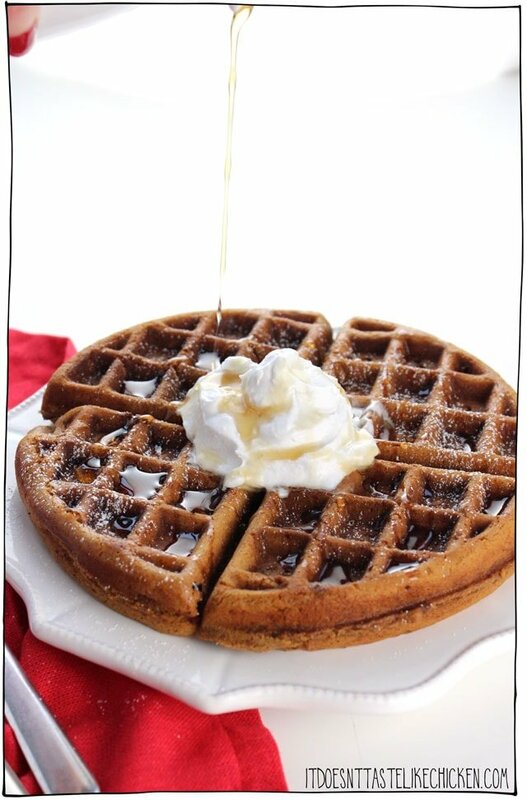 If you love gingerbread and you love waffles, well, the answer is obvious isn’t it? 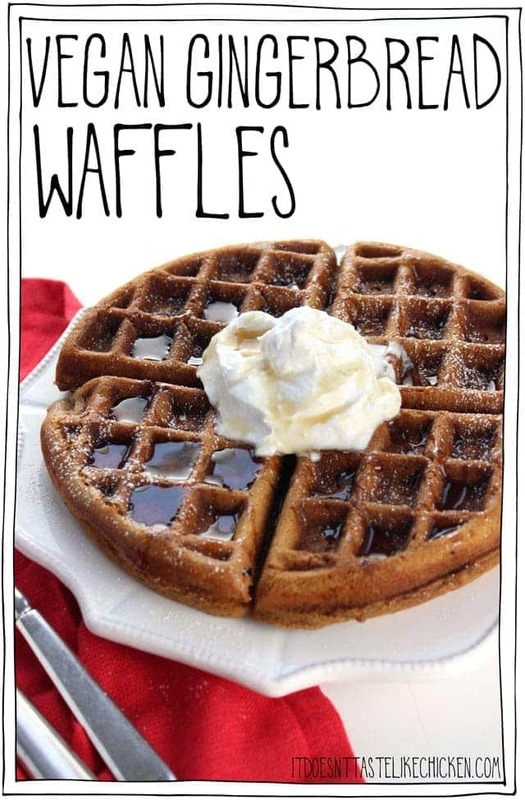 These Vegan Gingerbread Waffles are super easy to make but OMG are they delicious. Rich molasses, hints of spice, slightly sweet fluffy waffle goodness, topped with a dollop of Vegan Coconut Whipped Cream or Easy Vegan Marshmallow Fluff if you so desire (which you should clearly desire). 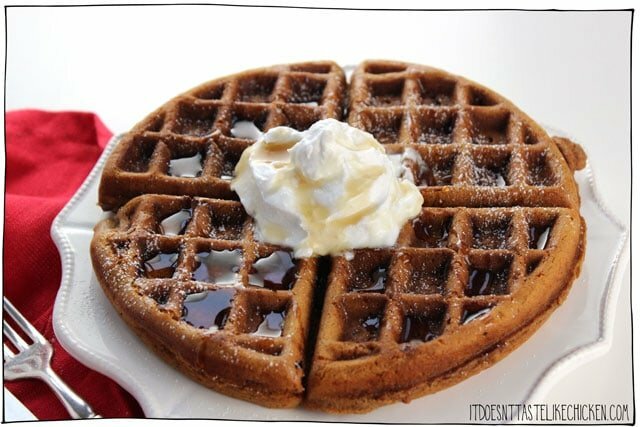 Vegan Gingerbread Waffles are perfect for a breakfast to celebrate the holiday season. These waffles are quite hearty so I enjoyed half of a waffle (or two of the sections) with a side of fruit. 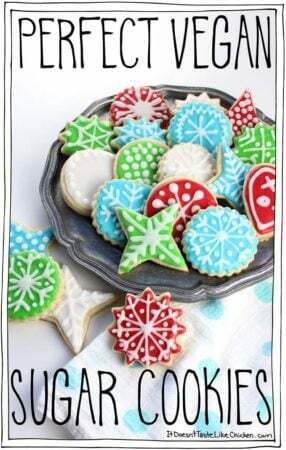 Cue the Christmas playlist! 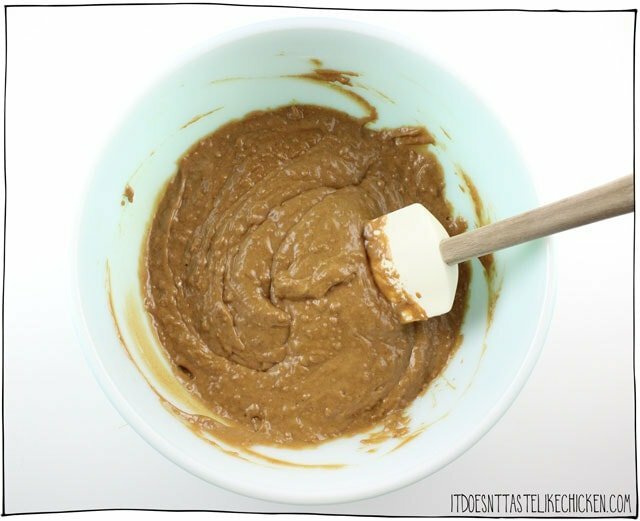 To make Vegan Gingerbread Waffles: in a large bowl whisk together all the dry ingredients. In a medium bowl whisk together all the wet ingredients. Pour the wet into dry and mix together until just combined. Lumps are totally cool. * I included a fancy little hack for you in this recipe without even telling you… well ok I’m telling you now. I had you measure the oil first, then followed by the same amount of molasses. This is so your measuring cup will be left with a thin coat of oil on it so that when you pour in the molasses, it won’t stick to the cup and will slide right out. Pretty great right? When the waffle iron is hot, spray oil or lightly brush oil on both the top and bottom griddles of the waffle iron. Pour about 1/4 of the batter onto the iron and lightly spread it around so that it just covers the griddle leaving room for the batter to expand. Close the waffle iron and cook until the waffle is cooked through and golden on both sides. Use a fork or spatula to help release the waffles. 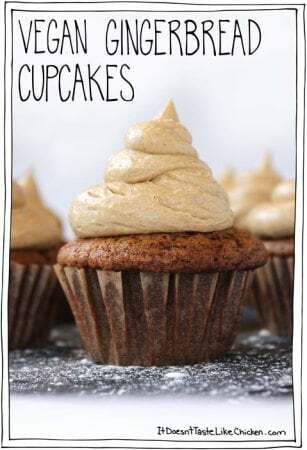 Serve with a dollop of Vegan Coconut Whipped Cream or Easy Vegan Marshmallow Fluff and maple syrup if desired. The perfect easy vegan breakfast recipe for Christmas morning or the holiday season. 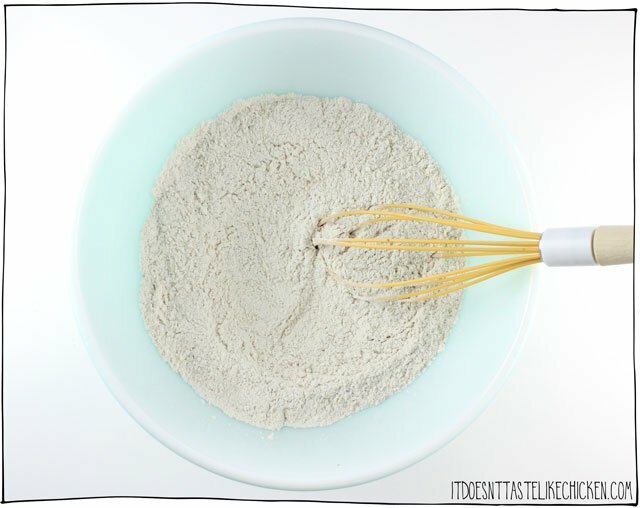 In a large bowl whisk together all the dry ingredients. When the waffle iron is hot, spray oil or lightly brush oil on both the top and bottom griddles of the waffle iron. Pour about 1/4 of the batter onto the iron and lightly spread it around so that it just covers the griddle leaving room for the batter to expand. 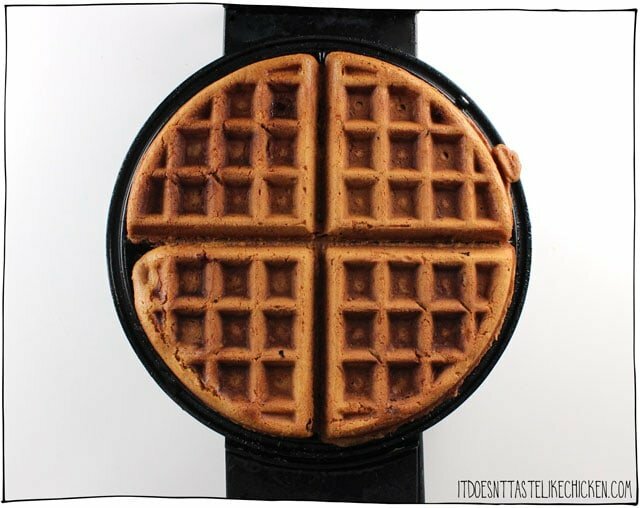 Close the waffle iron and cook until the waffle is cooked through and golden on both sides. Use a fork or spatula to help release the waffles. Serve with a dollop of Vegan Coconut Whipped Cream or Easy Vegan Marshmallow Fluff and maple syrup if desired. Guess what else is fun? In 2018 it’s my plan to deep dive into YouTube. My goal is to post a new video every single week. Oooohh aaaaahhhhh! So make sure to subscribe so you don’t miss a single one. To start off, I made a trailer for my channel. Check it out. Previous Post: « Giveaway Winners!!!!!!!! Sam, I truly enjoy your recipes. I watched your demonstration during the baking show at the International Centre some time ago. I was standing at the back of the audience, very tempted to yell, “THIS is what vegan eating is all about! Preach, Sam!” At any rate, I made these waffles tonight, along with the marshmallow fluff. Both recipes were simply delicious, and perfect for a day filled with ice pellets and freezing rain. Thank you. You’ve put a smile on my face. These were one of the better vegan waffle recipes I have found in terms of texture and flavour. However, I found that if I want a crispy outside, I have to cool them on a rack for a minute or two before serving, otherwise they become very soft and squishy. Wow. 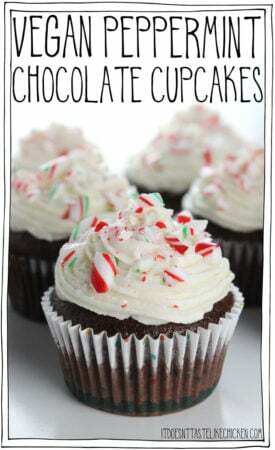 Made these this morning and they were FABULOUS. Thank you! My kids want to take them to the church breakfast tomorrow and convert everyone into vegans! 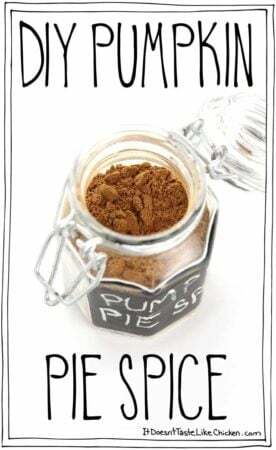 I only had blackstrap molasses but it was fine, and I didn’t have any of the coconut whipped cream made up either, so we just put some applesauce on the side and it complimented them very nicely. Thanks, Sam! What is “fancy molasses?” How is it different from blackstrap molasses? Thanks. Okay, thanks Sam. That seems to be something you find in Canada, but not the US. I’ve never seen it in the stores anywhere I’ve lived in the US, but I just checked Amazon and you can get it as an import from Canada. Maybe I can dilute some blackstrap with agave syrup or something. Do you think this batter would make a good pancake? 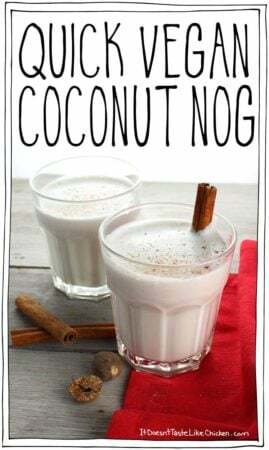 Looking to have a Xmas pancake breakfast and this would be divine! Laura – I was wondering the same thing. 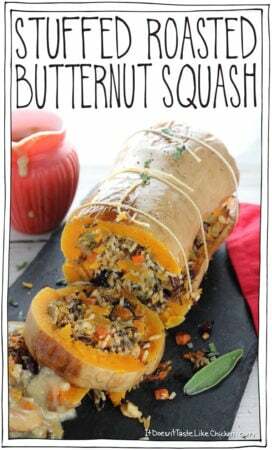 I may just try this tonite for dinner before I try it on my guests Xmas morning. Hmmm… waffles are a bit dense and slightly crisp on the outside, pancakes are lighter and fluffier. So while I think the batter would cook fine in a pan, the texture might be different than a pancake. So as long as you are ok with that, go for it!